On a trip to New York I fell in love with the tin ceiling tiles used in restaurants and bars. I particularly loved them in Schiller's Liquor Bar - well worth a visit if you are heading that way. We're beside ourselves with excitement to be able to bring you some of our favourite designs of genuine tin tiles. 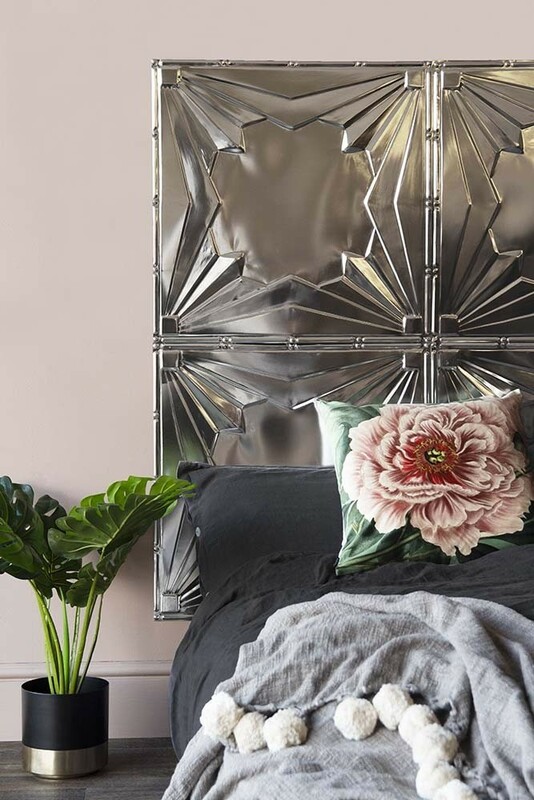 They're beautiful and perfect for so many uses including as spashbacks in the kitchen, bedheads in the bedroom, bath panels in the bathroom and general decoration on ceilings and walls. 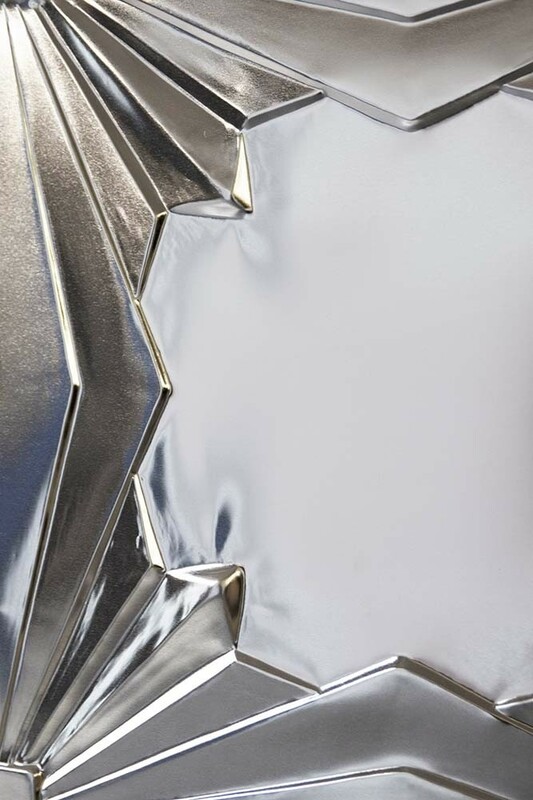 Leave the tin tiles as they are and enjoy the natural silver colour and shiny finish or we think they're great for painting and ageing to make them completely unique to your home, style and decor. For more information on paint effects and application please view our Tin Tile Guide. The tin tiles can be attached using nail pins in the corners or with an adhesive suitable for use with tin plated steel. I am planning a whole wall in different designs to make a feature in my home that is completely unique to me, for more inspiration have a look at Mel's Marvellous Things on the Rockett St George Blog, we love her bath splashback made from tin tiles. Please be aware that edges are extremely sharp, so we recommend wearing safety gloves at all times when handling, altering or cutting the tin tiles. 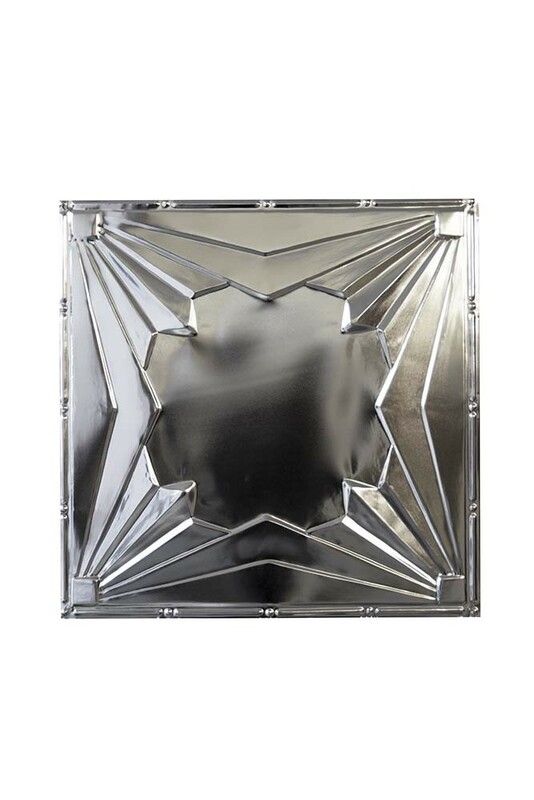 Please see our Metal Tin Tile Guide for more information.